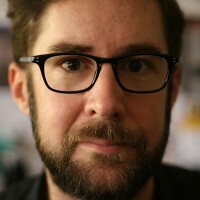 Mike Jones is a PhD researcher with the University of Melbourne’s School of Historical and Philosophical Studies, a Research Associate at Museum Victoria, and a Consultant Research Archivist with the eScholarship Research Centre (ESRC). Since starting at the ESRC in 2008 he has been involved in numerous archival and research projects with academics, government departments, community organisations and the GLAM sector. His PhD, supported by the McCoy Scholarship, seeks to explore past, present and future approaches to the management of interconnected artefactual collections and archives in a museum context to support curators, researchers, and the general public.